Our English teacher Mrs. McLeod and I are learning together as she sets up her students' writing assignments using Google Classroom. This is for Mrs. McLeod, and anyone else who needs a quick glimpse of what an assignment looks like on the student's end. 1. Student's View of the assignment. 2. When the student OPENs the assignment, he/she can ADD or CREATE a document. 3. 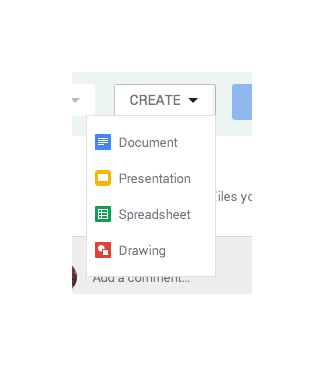 Student can ADD a document from (1) Google Drive, (2) a link, or can (3) upload a file. 4. Student can CREATE a document, a presentation, a spreadsheet, or a drawing. 5. 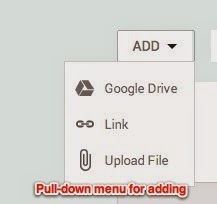 When a file is ADDed or CREATEd, the file appears in the student's drive, shared by the teacher. Did I miss anything? Please let me know in the comments.